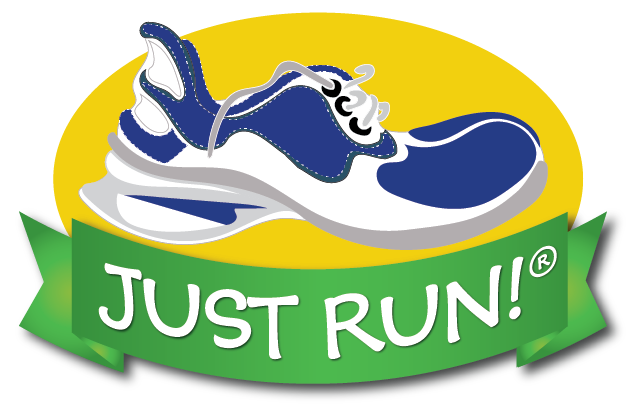 The name "JUST RUN" epitomizes our guiding principles - ACTIVITY and SIMPLICITY. Our major goal is to get as many children as possible RUNNING or WALKING or MOVING on a regular basis. JUST RUN provides all of the tools necessary to make this possible. Find a suitable location and times to hold your group sessions and running activities. We recommend measuring a 1/2 mile distance either around a field or school yard, or use a track, if available. It does not have to be a flat area or even regular - obstacles add to the fun and variety. You can download and create your own JUST RUN distance markers by clicking HERE. The distance markers can be put on cardboard or wood and/or laminate and put in the ground or just taped to trees, buildings, etc. If possible, change locations and course directions over time to add interest and variety. Although the program is non-competitive you may want to have each child get a base-line time in a mile run so that they can judge improvement. It is best not to do this at the first meeting as the child may not yet be ready to cover a full mile. When you and the child feel ready, have them run, walk or do a combination for a full mile. Record the time for each child on the website and time them several times during the year. Record their times to see their improvement in percentages. Insure that every participant knows about proper hydration and drinking and make sure water is available at every session. Suggest proper clothing and running shoes for running or walking. Distribute the downloadable running log to each child so that they record their supplemental milage outside of the group sessions. Your group should meet two or three times a week if possible, and the children should be encouraged to run with their parents on the weekends as well. Running miles with parents counts double in the JUST RUN Across the USA/Europe program. The more parent volunteers the better! Encourage parents to become involved and participate in the group sessions with their children. On some days you should focus on increasing distance. Most days should involve relays, drills, group runs, and other prepared games. There is a wealth of information related to drills, fun activities, advice and program structure in the Leader's Manual. Recommended drills to improve flexibility, balance, and strength, and to prepare young muscles to run without injury can be found on the Training Videos page and on the Warm-Up and Stretches page. Spend very little sedentary time talking to your group. Keep them active and moving as much as possible, even while talking to them. They can be stretching, jumping, doing exercises, etc. during this time. Emphasize proper warm-up and warm-down techniques. Start each session with basic stretching and exercises like jumping jacks, sit-ups, and push-ups. Let the children take turn leading the exercises. Be sure to end each session with more basic stretching and exercises. Encourage everyone to enter fun runs and races. Consider putting on your own fun run. Distribute the Just Deeds form to promote good citizen citizenship. Reward the children when they complete the form and have run 26 miles with the downloadable certificate found in the Forms section. Promote healthy snacks and food choices. Just Taste is an educational and fun way to incorporate nutrition into your program. Great suggestions from JUST RUN leaders can also be found on the Leader Feedback page.